Drew Brees, Saints remain unbeaten (6-0) at the Superdome. What was on the line Sunday night at the Superdome? Oh, just the inside track to a first-round bye in the NFC playoffs. While the Saints and Panthers will meet again in Week 16, New Orleans proved to be the more well-rounded team. If you think the Saints are just a high-flying aerial assault team that can’t travel, you’d be mistaken, at least in part. While Sunday night’s 31-13 dismantling of Carolina did nothing to squash the notion that the Saints can’t win away from home, New Orleans showed it is a team that can create pressure on defense and put points on the board. Locking up a first-round bye and home-field advantage until the NFC Championship Game is priority No. 1 — unbeaten at home, a 3-3 record away from the dome has troubled the Saints. They were exposed in Seattle a week ago, but you can be sure that loss will not linger with this team. They are comprised of veteran players who have experience in the postseason. If Drew Brees has a clean pocket, he can dice up any defense in the league. Coming into Sunday night’s game, the Panthers allowed the fewest points per game. They only sacked Brees twice and he connected on 30 of 42 passes for 313 yards and four touchdowns. Six teams are still in the running for the highly coveted final playoff spot, but two separated themselves from the pack. Thanks to their wild win over Minnesota, the Ravens control their own destiny, but face a three-game schedule that is as tough as it comes. Their three remaining opponents (at Lions, vs. Patriots, at Bengals) have a combined record of 26-13 and all would be playing in the postseason if the season ended after Week 14. Following the most entertaining two minutes of Sunday’s action, the Ravens held on to their grip of the No. 6 seed. What’s encouraging is they continue to find ways to win. What’s discouraging is that this win came against a Vikings team which was without its No. 1 QB all game and No. 1 RB (and reigning MVP) after Adrian Peterson left with an injury early in the second quarter. 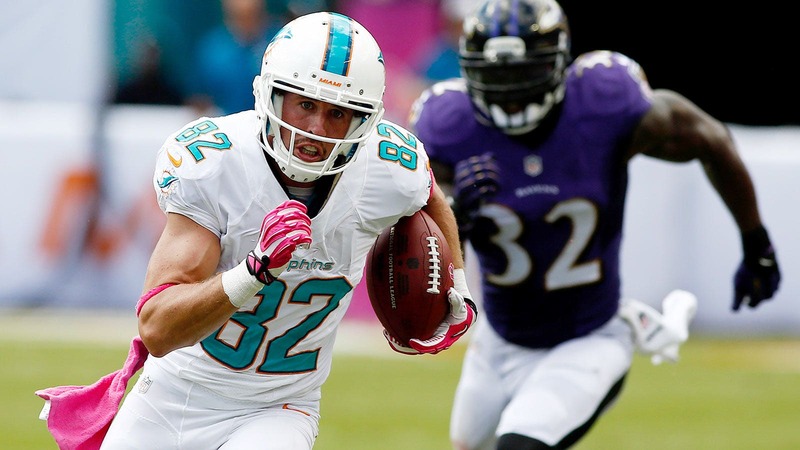 If you want to keep an eye on a team should the Ravens falter, watch the Dolphins. They’ve been stringing wins together and have the easier of the three-game schedules. They host the Patriots, who are a completely different team without Rob Gronkowski (who suffered a potentially season-ending injury Sunday) and then travel to Buffalo. They host the Jets in Week 17. Chip Kelly’s offense thrives when it uses its speed in space. That wasn’t the case early against the Lions. Typically, Philly’s speedsters are able to outrun their competition laterally and get around the edge for big plays. 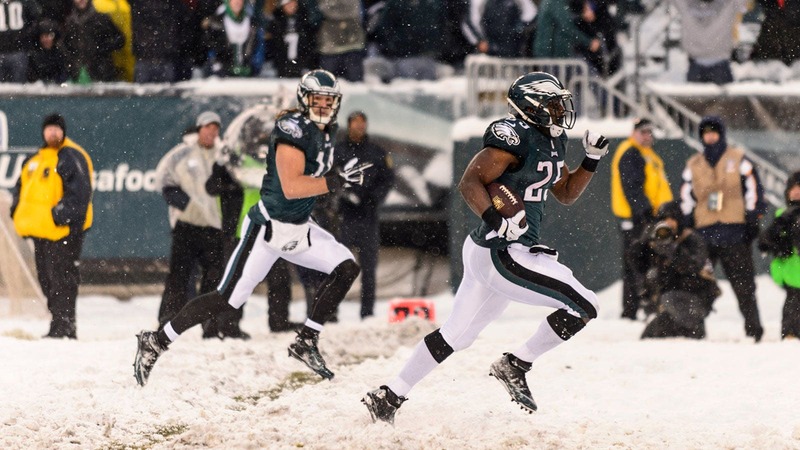 Since Lincoln Financial Field was draped in more than six inches of snow, that couldn’t happen. Kelly decided to tweak his gameplan and run into the teeth of the Lions defense. Philly’s interior lineman did a great job creating space and paving lanes for LeSean McCoy and Co. Philly’s 299 yards on the ground — the fourth-most in franchise history. Trying to keep pace with Philadelphia atop the NFC East, Dallas will be tested in icy conditions on Monday night at Soldier Field. The forecast doesn’t call for snow, but the high temperature is supposed to be just 27 degrees. If the Cowboys don’t take care of business, the Eagles will likely run away with the NFC East. 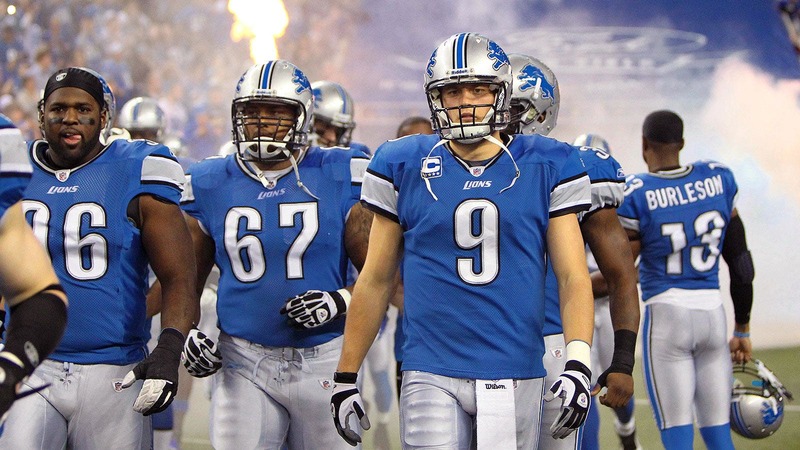 At the same time, a Bears win will put them in a tie with the Lions atop the NFC North. Basically, there’s a lot to play for. 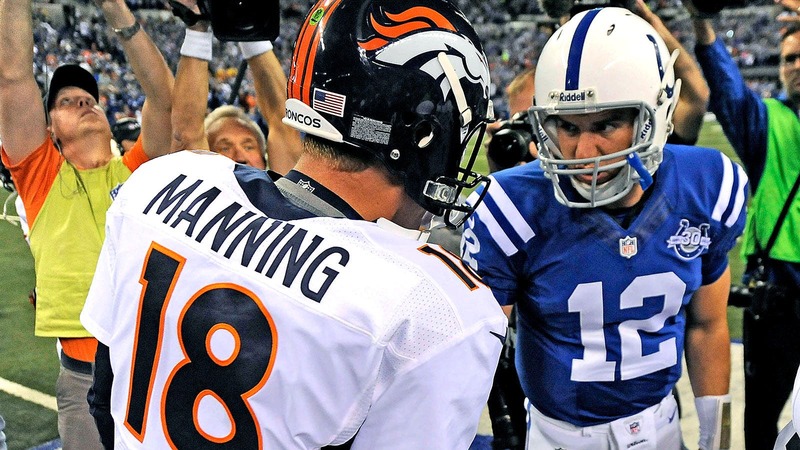 The Colts got hammered, but still had reason to celebrate as they clinched the AFC South. Is this a team that will heat up at the right time or are they facing too much of an uphill battle? The division title came only because the Broncos, who clinched a playoff berth, ended the Titans’ season in a 51-28 rout. The 49ers didn’t lock down a playoff berth with their win over the Seahawks, but with three games remaining at Tampa Bay, at home against Atlanta and at Arizona, they should handle business accordingly. This is a team you don’t want to play in the postseason. Some Sundays are worse than others. Week 14 claimed the health of many headline players. In fact, the injuries began even before the 1 p.m. ET games even kicked off. *Detroit Lions running back Reggie Bush aggravated his injured calf during warmups and didn’t try to play on it because of the nasty weather conditions in Philadelphia. 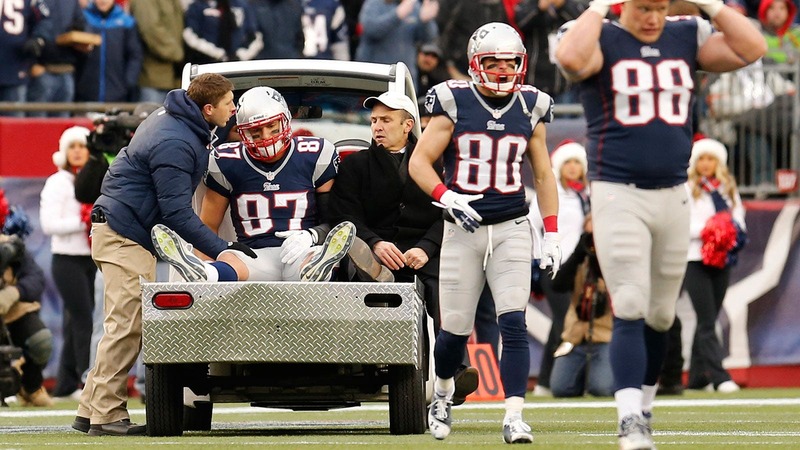 *Patriots tight end Rob Gronkowski, who has shown up consistently on the team’s injury report since his Week 7 return, will undergo an MRI exam after suffering a suspected torn ACL. *Broncos wide receiver Wes Welker sustained his second concussion in less than a month. His status for Thursday night’s matchup against the Chargers is highly unlikely. *Vikings running back Adrian Peterson will undergo an MRI exam on a sprained foot. Peterson was carted from the sideline to the locker room in what appeared to be severe pain. *Seahawks linebacker K.J. Wright broke a bone in his foot, head coach Pete Carroll announced. He’s expected to be out six weeks and is a massive loss to the middle of the defense. When will the pile of injuries catch up with Seattle? *Cardinals rookie safety Tyrann Mathieu’s season appears to be over after likely tearing his ACL, according to head coach Bruce Arians.